Music therapy can be a great support for caregivers, either for their own self-care, or helping to support them in their caregiving responsibilities. Caregivers give of their sleep. They give their physical strength. They tuck away their own worries, while giving emotional strength to their loved one. 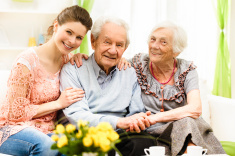 Caregivers put their own ”self” on the back burner. Sometimes caregivers are so busy caregiving, they ignore their own physical or emotional pain. Caregivers run on empty in so many ways. Music can help! Music can promote relaxation, relieve stress and induce sleep. Music can be used in pain management. Music can lift emotions… or calm emotions. Music can fill the empty cup – it can express the “self”. It can provide positive emotions when their own positive emotions have run dry. 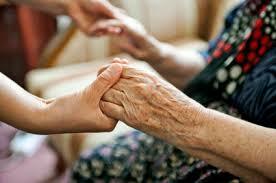 Music therapists can be a great resource to turn to in caring for the caregiver. 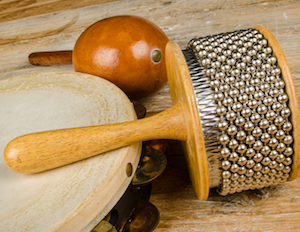 Music therapy helps caregivers with their caregiving. Music therapists can take the wheel while a caregiver takes a nap, goes to the store, goes for a walk, etc. It can be much easier to take time to re-charge, knowing that a loved one is being re-charged at the same time. While working with an aging loved one, a music therapist can bring them a change of scenery, new and interesting things to think about or listen to. Music therapy can bring emotional changes, cognitive opportunities and fulfilling social interaction. Music therapists can help caregivers utilize music in their daily service to their loved one. Music can be used to help with activities of daily living (eating, bathing, etc.) Music makes exercise easier and more fun. 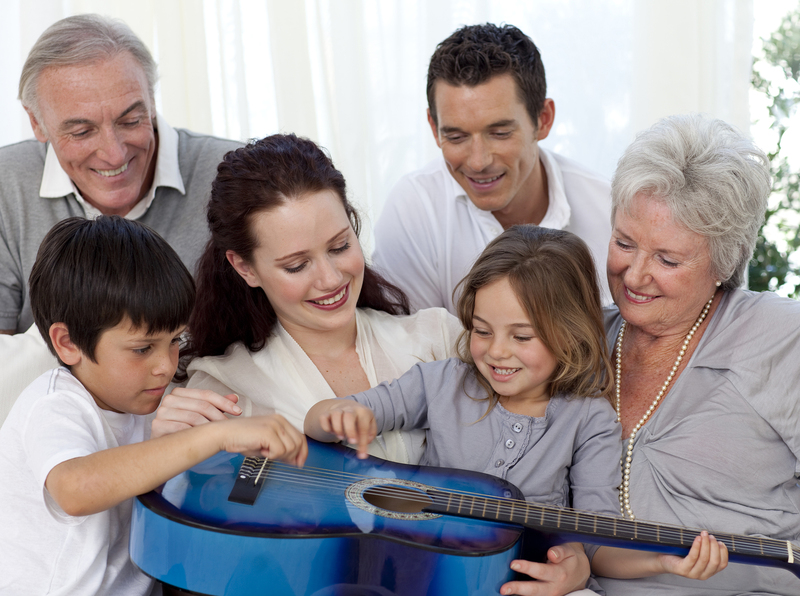 A music therapy visit can be a wonderful opportunity for families and caregivers to connect with their loved one in a totally different way. When the music therapist arrived for the regularly scheduled visit, she found a different crew! 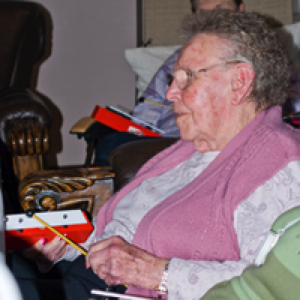 The client’s daughter and grandchildren were there for a visit, and happy take part in the music therapy session. The grandmother had had a stroke, and was suffering from some dementia, which made communication quite difficult. Enter the beauty of music therapy, where words are optional! The family gathered around the kitchen table, each person with a few resonator bells in front of them. Everyone at the table was able to play their bell when cued by the music therapist, and as a group, were able to ring out several well-loved songs. The family was able so spend an hour together – creating, laughing, reminiscing and experiencing the teamwork that comes from making music together. Learn how to purposely use music to bring about emotional change. Receive this free download by signing up for our monthly newsletter.